It's that time of year where all I can think of is sunny beaches and when my next trip is going to be. Usually for every trip I try to book somewhere new that I've yet to explore, however, this year I'm doing things a little differently. I'm still going to visit a couple of new destinations, but I'm also going to try and squeeze in a trip to somewhere I've already visited and LOVED. There's three places I've been that for me, hold a lot of my favourite holiday memories, and can see myself still wanting to return in years to come. You're probably sick to death of me going on about Portugal now, but I completely fell in love with the place! The Algarve has always been a very popular holiday destination with us brits, whether it be for a city break to Lisbon, or a relaxing All Inclusive break by the beach. Even in the quieter areas by the beach, you'll find lots to do and various towns and villages to explore. You can read more about what we got up to in my Top 5 Things to do in the Algarve post. For me, Portugal has it all. If we do decide to visit again, I think we're going to try and get the best of both worlds this time. Holiday Gems has all-inclusive deals to the Algarve which I'm finding hard to resist at the minute. So maybe a few nights in a nice resort, and then a trip to Lisbon would be on our itinerary. Well I'm sure this is no shock, seeing as I've now been here three times. Honestly, it will always be one of my favourite places! From the rides, to the shows and parades, Disneyland holds some of my favourite memories as a child. And more recently as an adult too. It was my first time going abroad with my boyfriend, and not only that, but it was actually my birthday present from my parents! I don't think you can go wrong with Disneyland to be honest. It's fun for all ages, and if you still insist you 'don't like disney' (seriously what's wrong with you), you can always explore the rest of Paris! We ended up heading into Paris for the day and enjoyed some ice creams by the eiffel tower, and then headed to a local aquarium. Every time I've been, I've gone in the Summer, so if we did decided to go again, I think I'd like to experience it at a different time of year, maybe Halloween?! To be honest, Greece in general is one of my favourite summer destinations, not just Corfu. You're truly spoilt for choice! 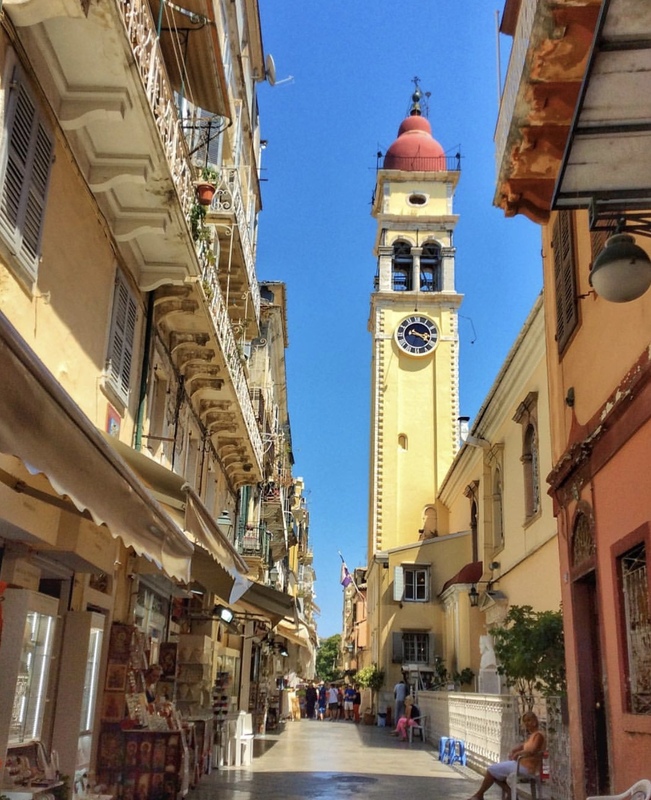 Corfu is a little more relaxed than a lot of the typical Greek destinations, but is still just as beautiful! It's perfect if you're looking to unwind and take some time off next from the usual hustle and bustle. I really loved Corfu, and definitely made the most of out time there. The scenery is breathtaking, so we often went for hikes or hired bikes to explore. Or we just relaxed by the beach, took a dip in the crystal clear waters, enjoyed some greek cuisine, and came across some pretty cool wildlife! As I mentioned before though, you truly are spoilt for choice in Greece. With so many gorgeous little islands and places to explore, it makes the perfect family trip. Next time I visit, I would love to get up close and personal with some turtles and maybe head to Smugglers Cove in Zante! 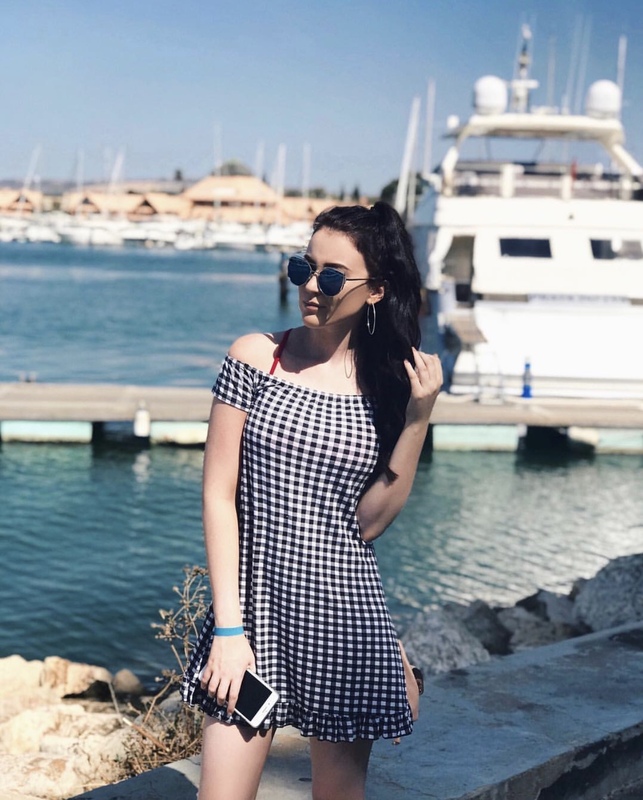 Of course, every holiday and trip holds lots of special memories, and I'd love to visit any one of them again, but these three have to be my favourite, and the ones I recommend the most to people looking for a fun filled summer holiday! Have you visited any of the above? What's your favourite summer holiday? *This post is sponsored by HolidayGems. All words and opinions are my own. Girl you have the BEST taste in holiday destinations! I fell head over heels in love with Portugal when I visited last summer, I stayed in the mountains rather than at the coast but the scenery was just as breathtaking and I’d love to go back! Sign me up for a trip to Disney too, I’ve never been but it’s so high on my bucket list, I’d love to meet some characters and sing and dance at the amazing parades! Loved this post! Now I gotta start working on my travel bucket-list! Portugal is def on my hit list - I know so many had go and absolutely love it! I went to Portugal with my blogger friend, Izzy last year and absolutely fell in love. It was my first time and we saw some incredible views, such a beautiful place. I would love to go back and take my family. I've also been to Corfu and found it such a beautiful location. I'm yet to visit Disney Land/World but hopefully sometime in the near future! I need to visit Portugal it looks like it would be amazing! I always end up going to Tenerife to visit Siam Palace, I love it! I'm very poorly travelled as I always stay in this country but I'd love to go to Disneyland Paris! I adore Disney so much and even though I'm not a fan of rides, I've been told there's still so much to do there! I’d love to visit Corfu. Portugal is a favourite of mine also. The Algarve looks absolutely dreamy, and definitely on my list of places to visit! I've been to both Paris and Orlando Disney and I am dying to go again now I'm older - both times before I was so young to take in and appreciate all the detail! Portugal looks amazing, I would love to visit there! I loved Corfu, I need to go to Disneyland Paris one day! Although Disney World in Florida has my heart, I recently went to Disneyland Paris last October and fell back in love, so can totally see why you’ve included it in your post! Algarve is also one of my favourite places ever, we have a little holiday home there so I try to go as often as poss! I think I really need to up my holiday game! I need to explore more instead of going to the same old places! Although I am in Cyprus at the moment and although I was here when I was 6 I can’t really remember it, it’s been nice exploring!